It's my great pleasure to welcome D L Koontz to the Flightdeck today, to tell us more about her book and why she writes about the paranormal. Hi, Lyn. 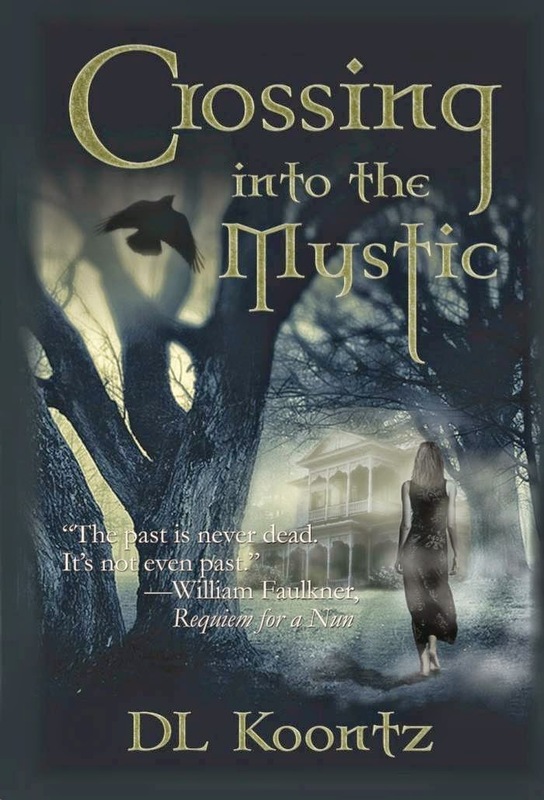 Thanks for letting me join your blog today to talk about Crossing into the Mystic. First, an overview of the book, for perspective: After the deaths of her parents and sister, insufferably independent main character Grace is so grief-stricken that even years later, when she encounters a ghost, she is charmed into trusting him with the hope of (1) being able to help him solve his murder, and (2) making contact through him with her dead family. As if the thrills and chills of ghosts and demons aren’t enough, she finds herself embroiled in a love quadrangle – with two living guys and one dead. The book addresses the notion that: Now and then, you see something that alters how you view the world. And, it explores the question: Do ghosts exist, or are they demons in disguise? I’m often asked: Why did you choose to write about paranormal? I even had someone ask: Why don’t you write about something more believable than ghosts, like vampires or zombies? First, to address the second question, I guess that person felt that the living dead was more believable than the dead dead? No matter; back to the first question. First, I’m fascinated with the notion that we probably don’t see and understand most of what’s around us. Scientists say that ninety-five percent of the universe consists of dark matter and dark energy whose fundamental nature is a mystery. In short, you can’t see most of what’s out there. Second, I harbor a strong faith in God and an afterlife, so I also believe in the potential for incredible miracles. Third, I’ve met countless sane, successful, intelligent, well-educated people through the years who, in hushed tones, confess to having encountered a ghost. The revelation is generally accompanied with an agitation, annoyance, almost an apology, as though they’re concerned what my reaction will be. Their concern seems to be that I will label them as crazy. Instead, I walked away fascinated each time. So, when you merge all that together your mind can go wild, as mine did. What’s more, according to Gallup polls, nine of out ten people believe in God. And the Harris poll found that fifty-one percent of the public believes in ghosts. So clearly, there’s an overlap. I wanted to explore that notion. The Bible is filled with references to evil and demons, and Christ repeatedly cast out demons, so I believe the universe is much more complex and mysterious than it may appear to our senses. So, are the “ghosts” that Grace encounters actually demons in disguise? I don’t want to spoil it, so you’ll have to read the series to find out. What about you—what do you believe? Ever experienced an angel? Ever seen a ghost? Do you associate ghosts as angels/demons? Three years after losing her family in a car crash, Grace MacKenna is set to inherit her stepfather's ancestral estate among the mountains of West Virginia. Seeking solace and healing, Grace discovers the ghost of William Kavanaugh, a dashing Civil War captain in Virginia s 17th Infantry, haunts the property. When William charms Grace into investigating the mystery that led to his death a hundred and fifty years ago, she finds herself drawn into a world of chivalry and honor, but also deception with secrets too dark to speak aloud. Torn between her love for two mysterious young men - one living and one dead - Grace stands in the shadows of the Antietam Battlefield with a choice: one that could leave Grace lost forever, "crossing into the Mystic." You may remember I recently recounted the legend of Devil's Bridge and then last week we were at a steam rally. Today I thought I'd link back to Devil's Bridge, and still continuing the theme of 'steam' tell you a bit about Rheilfordd Cwm Rheidol or the Rheidol Valley Railway. I used to live on a hill overlooking the Rheidol Valley (pronounced Ray-dol') and the River Rheidol winding it's way through the valley and down to the sea. I could also watch the little steam engines on the narrow gauge railway , chugging their way into the mountains, the same mountains where I spent many happy hours long distance horseback riding. Of course I rode on the trains myself, many times, and especially enjoyed taking my niece and nephew on the 'Cowboy Specials' where kids, and often their parents as well, would dress up as cowboys. Then the train would be 'held up' halfway up the mountain by local students dressed up as indians. I'm not sure if they still have the cowboy specials but I do know they run a Halloween train and a Santa special. The train runs from Aberystwyth to Devils Bridge, where it stops to give visitors time to look around the famous falls, and have a bite to eat, before the homeward journey. "Travelling on the Vale of Rheidol Railway is the finest way to explore the stunning Rheidol Valley. Opened in 1902, the railway has been delighting passengers young and old for over a century. climb 700ft (200m) in the 11¾ miles from Aberystwyth to Devil's Bridge. 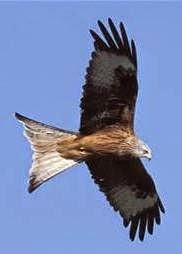 Birds of prey such as Red Kite and Buzzards are regularly seen soaring high above the valley floor and breath taking views can be enjoyed by all. See our timetable below, and book your tickets online here. The line is a masterpiece of engineering, opened in 1902 to carry lead ore, timber and passenger traffic. The narrow track gauge allows the railway to follow the contours of the terrain with many sharp curves and steep gradients which add to the railway's charm."